Perhaps you have tasted fiery Thai curry and slurped steaming bowls of Vietnamese noodles. 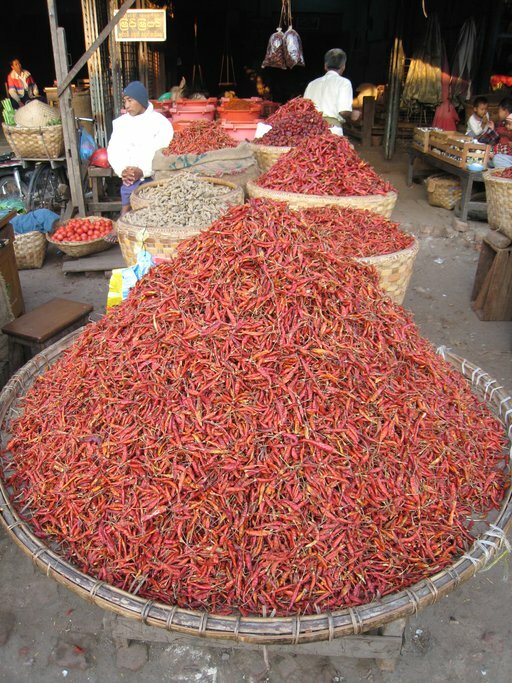 But most foreign travelers have no idea what to expect from Myanmar food. This two-day Mandalay city tour introduces you to the exotic flavors of traditional cuisine as well as the country’s foodie culture. During this quick but insightful culinary adventure, you will browse for produce at vibrant fresh markets, experience Mandalay’s tea shop culture, enjoy lunch in a Buddhist nunnery, learn to cook traditional Burmese cuisine and much more. Bring your appetite and sense of adventure — this Mandalay Munchies journey will showcase the bounties of Myanmar's culture and cuisine! Bring your appetite! Today’s mouth-watering tour begins with a visit to one of the city’s vibrant fresh markets. Peruse stalls overflowing with produce grown in nearby farms, learning about the ingredients and also discovering more about the ways of life of Mandalay’s residents. After tantalizing the taste buds, stop in at a tea shop to sample a variety of treats and to learn about the culinary influences that have shaped Myanmar cuisine. Throughout the rest of the day, explore some of the city’s lesser-known sites, gaining a deeper appreciation for how Mandalay’s residents live and about the significance of food in the local culture. During the evening, travel by ‘light truck’ to illuminated pagodas and various nighttime food stalls to sample exotic snacks. Then it is on to a popular ‘beer station’ for a dinner of Mandalay barbecue washed down by cold beers. You'll then overnight in Mandalay. This morning head out to the countryside to visit a small village surrounded by farms. Sample local coffee and tea as well as freshly prepared snacks, all the while getting an up-close look at what life is like on the outskirts of the buzzing city. Then we will arrive at a Buddhist nunnery late in the morning in time for an early lunch prepared by the nuns. This is a fabulous chance to learn about Buddhism and support the community service projects of the nuns. After a short break at the hotel for a rest, we meet with a local chef for a hands-on cooking experience. 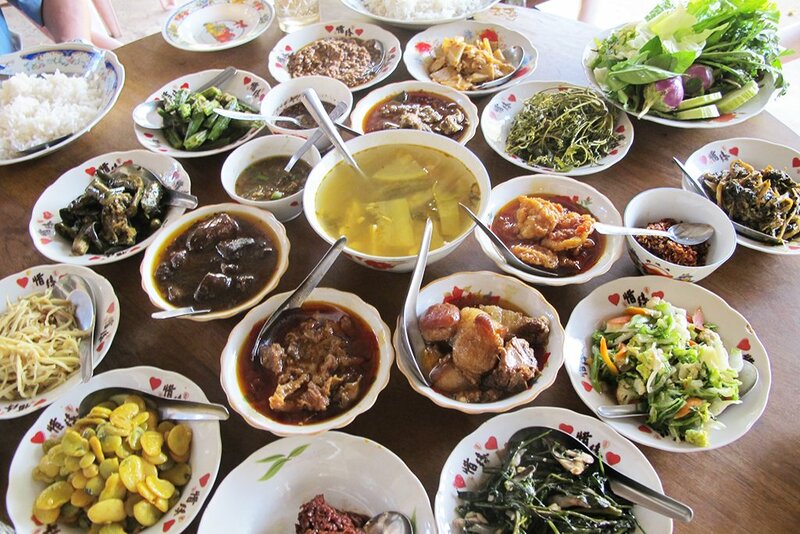 Using family recipes, prepare and cook a selection of Myanmar dishes that will then be served for dinner. Again, we'll overnight in Mandalay.